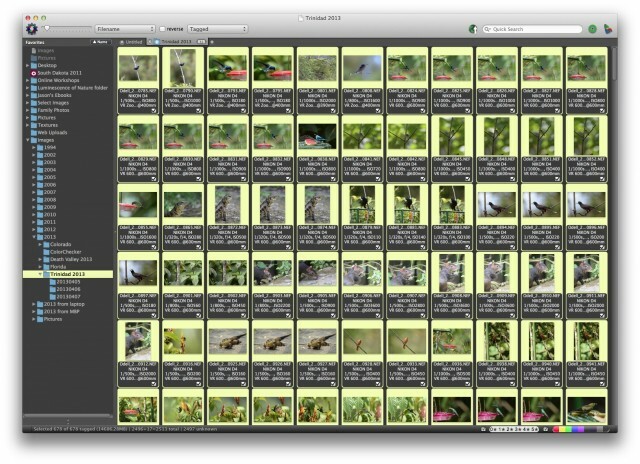 I use Photo Mechanic, from Camera Bits, for my first-pass review and to cull rejected images before I import them into Lightroom. Doing so reduces the amount of images in my Lightroom catalog and keeps my workflow streamlined. I’ve used Photo Mechanic for years, and it’s a really good file browser and image keywording tool. I use it to do all sorts of stuff, including image import, but here I’m just going to focus on the image review aspect of the program. The big difference between Photo Mechanic and Lightroom is that Photo Mechanic doesn’t render your RAW images when you zoom in. Instead, it displays 100% previews using the preview JPEG embedded into your RAW files by the camera. For Nikon cameras, this is a full-resolution image, so the quality is more than enough to judge critical sharpness. Because JPEGs are fairly small, Photo Mechanic can display them super-fast. Tip: I always set my Nikons to use an in-camera sharpening value of +3 or +4 so that the embedded previews are sharpened adequately for review. 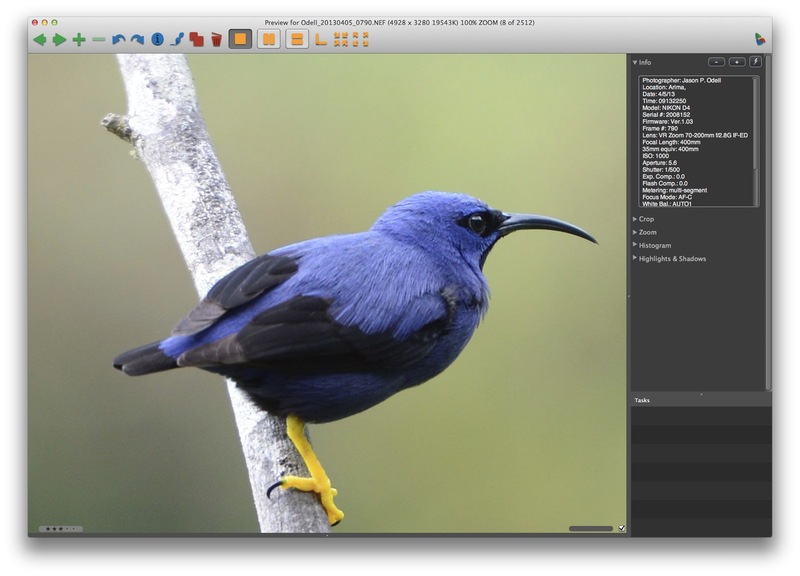 In review mode, Photo Mechanic uses embedded JPEG previews to display your images quickly, even at 100%. 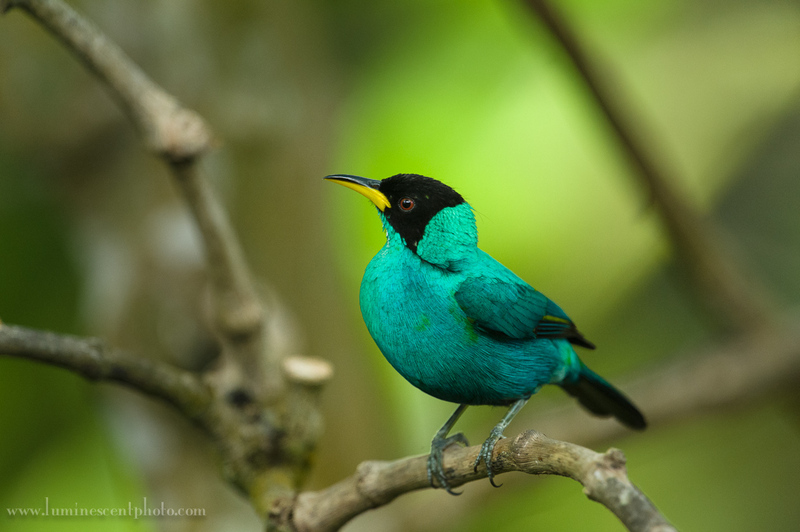 If you intend use Photo Mechanic with Lightroom, there are a few best practices to consider. First, make sure that Lightroom is set up to write metadata and edits into XMP sidecar files. This not only helps to synchronize metadata between LR and Photo Mechanic, but Bridge, too. 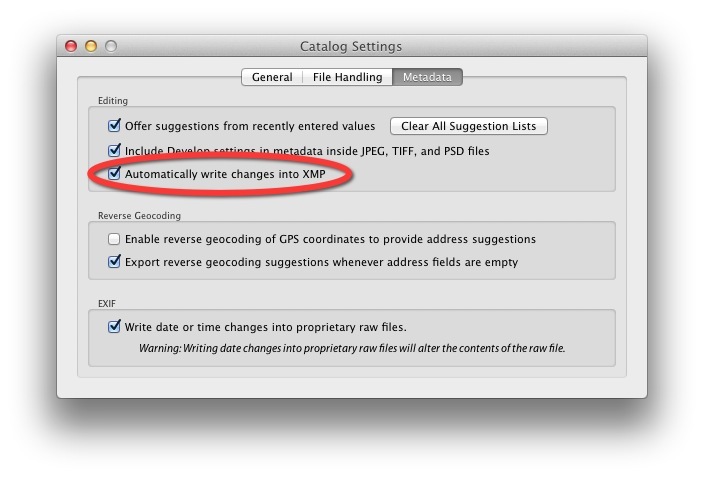 Next, go into Photo Mechanic’s preference panel and make sure that it’s set to write XMP sidecar files, too. I don’t recommend embedding XMP metadata. If you do, you risk getting your file metadata out of sync, as LR reads but won’t overwrite embedded metadata. If you set Lightroom to use XMP sidecar files for metadata, it will be compatible with Photo Mechanic and Bridge. 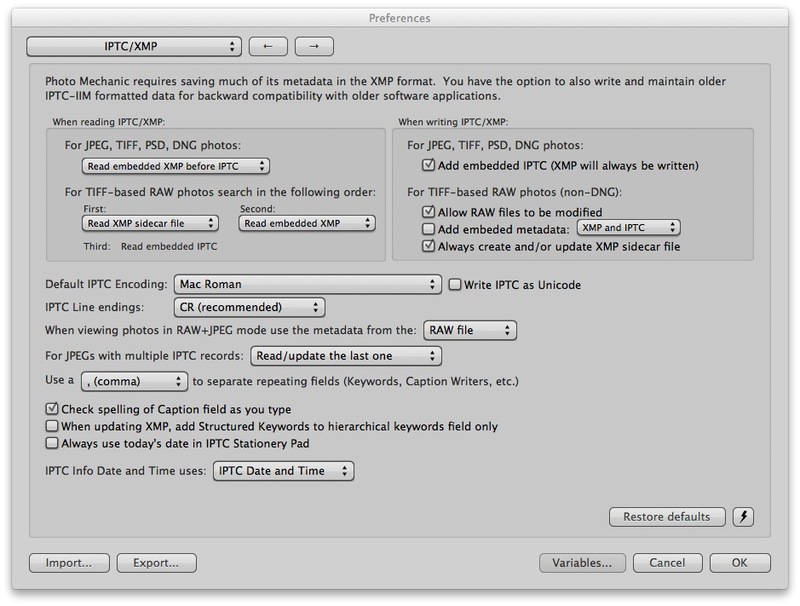 Set Photo Mechanic’s IPTC preferences to read and write metadata to XMP sidecar files. 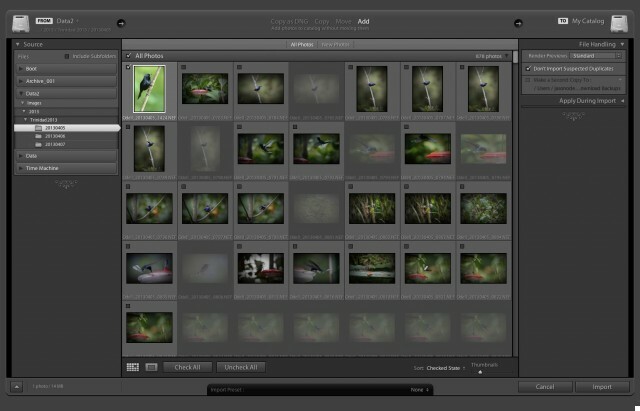 This synchronizes your keywords and other metadata with Lightroom. In my situation, my first criterion for selecting images is whether or not the subject’s eye is reasonably sharp. If the image isn’t sharp enough for me, there’s really no point in bringing it into Lightroom. Therefore, I use a simple binary approach during my first review pass. I check the focus and sharpness at 100% and tag the sharp ones as keepers. To do this, I use Photo Mechanic’s “Tag Photo” function. Before I begin, however, I’m going to go into the preferences and set up the application to automatically advance to the next image whenever I change the tag. This speeds up my workflow tremendously. As I review each image, I check sharpness. If it’s sharp, I’ll use the keyboard shortcut Cmd (Ctrl)+ to tag it and then I’m automatically advanced to the next photo. 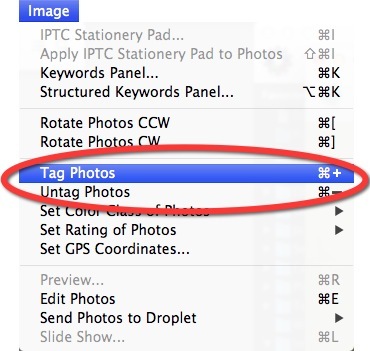 If the photo isn’t sharp, I use the keyboard shortcut Cmd (Ctrl)- to “untag” the image, even if it isn’t tagged already. Doing this advances me to the next image, too. Use the “tag” option as a quick “yes or no” review system. I set Photo Mechanic to automatically advance to the next image after I change the tag state. Side note: If you use a Nikon camera and “protect” an image in the camera using the lock (key) button, it shows up in Photo Mechanic as “tagged.” That can be an extremely useful way of finding images that looked good on your LCD after you download them to your computer! Once the selected images are tagged in Photo Mechanic, I’m ready for the next step: bringing the images into the Lightroom catalog. Keep in mind that still I haven’t evaluated the shots for composition, exposure, etc. You can do this in Photo Mechanic if you want, or move directly into Lightroom. For my exercise, I had culled 2500 shots down to about 650 acceptably sharp ones, and decided to do the rest of my work in Lightroom. In Photo Mechanic, filter the images in the contact sheet on their tag state. I select View: Tagged, and now only the images I marked are shown. 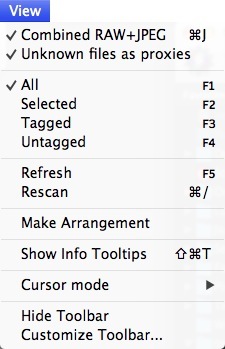 Use Photo Mechanic’s “filter” function to display only the shots you tagged as sharp. After filtering, select all the images in the contact sheet and drag them to the Lightroom catalog module. 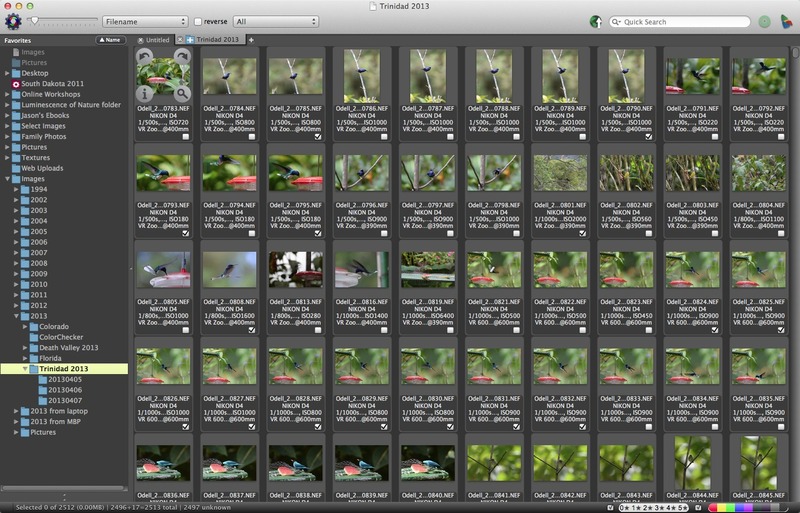 Next, I select all the tagged images and drag their thumbnails to the Lightroom Library Module (Mac users can drag the thumbnails to the LR icon in the dock). 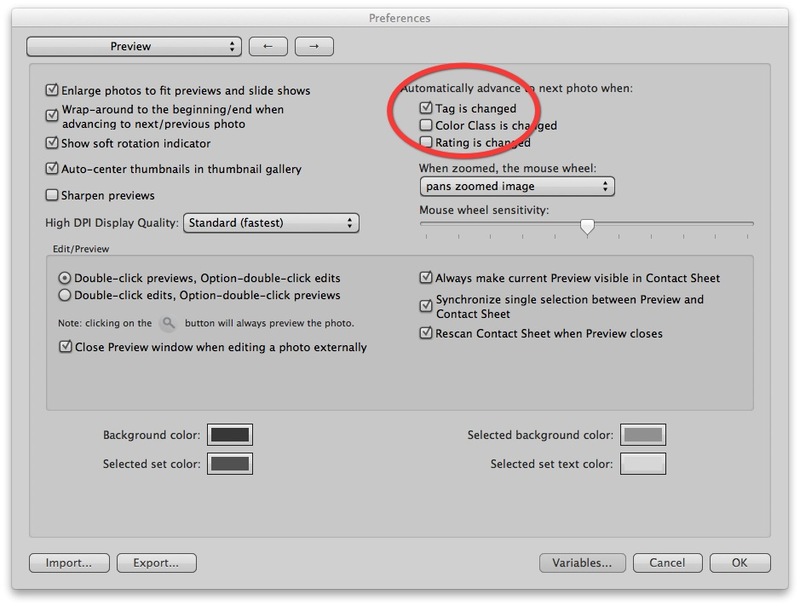 Upon doing so, Lightroom automatically launches the Import dialog and shows the selected images as “checked” for import. That means I don’t have to sort through each file in the Lightroom import dialog to figure out which ones were the selects. At this point I can continue my editing workflow in Lightroom without the need to judge critical sharpness at 100%. When you reach the Lightroom import dialog, the images you selected in Photo Mechanic are already checked and ready to go.